Last Wednesday, the 15 of August, I went to the most official event of Timisoara I have been at so far. I got up super early, at 9 AM or something, to be in time at the ship D’Arc de la Podul Tineretii. Because that day was the third annual Navy day (according to google translate and timisoreni). 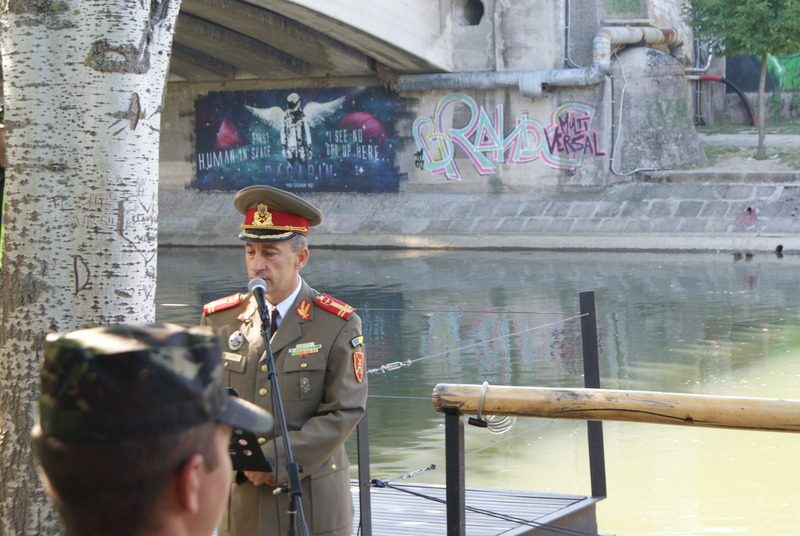 This Navy day was a special one, it was 280 years ago that on this very canal, the Bega Canal, the first ship ever set sail to ‘Pancevo’. To celebrate this, a commemorative plate was officially dedicated and revealed by important people. Which leads me to the main problem I had with this event, everything was in Romanian! Besides a lot of ‘Timisoara’ ‘mulţumesc’ two ´Olanda´ and one ´Rotterdam´ (which made me verry proud as a dutchmen!) I was having a rather hard time understanding anything that was being said. Somehow that didn’t make it less interesting. It was a really impressive event. Lots of people gathered, young kids, young couples, old people and a lot of officials. Both men and women in uniform where all over the place. 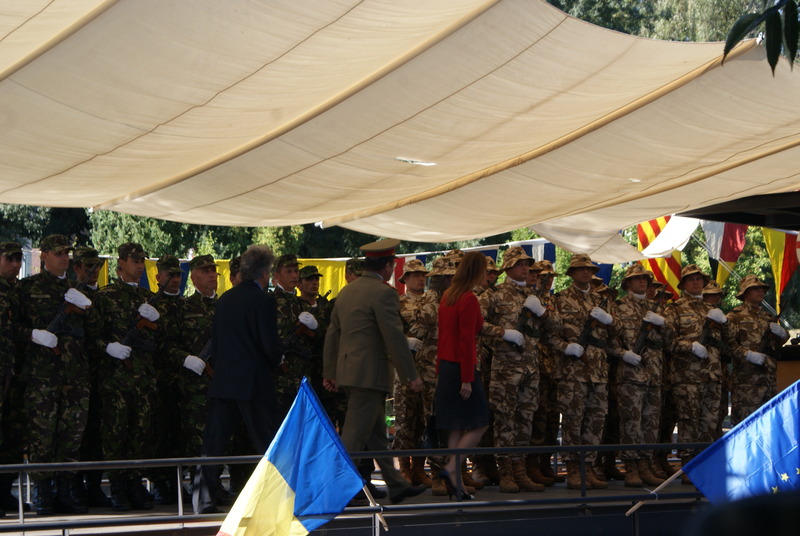 Of course, the Honor Guard was present, aswell as the Banat Infantry Brigade 18 and a military orchestra. The nicest thing about this was that I couldn’t rely on the words that where spoken to the audience. I had to be guided by there movements of the crowd. When everyone went to the left, I walked to the left, when we went to the water, I followed obediently. It felt more like a game then an official event because of this. And, of course, the sunny weather and an ice cold cola helped me to relax a lbit too! I got to see a little of the navy traditions of a different country, I’m sure I heard the Romanian National Anthem somewhere along the way, and I can promise you it was definitely worth the effort it took to get out from my bed that early. So a tip for you guys for the next year, set your alarms, bring your video camera’s, follow the crowd and I promise you, you will enjoy yourselves to the max!